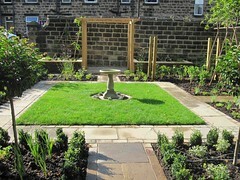 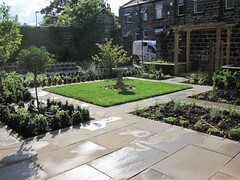 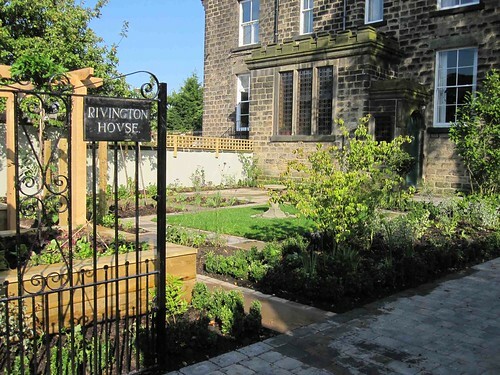 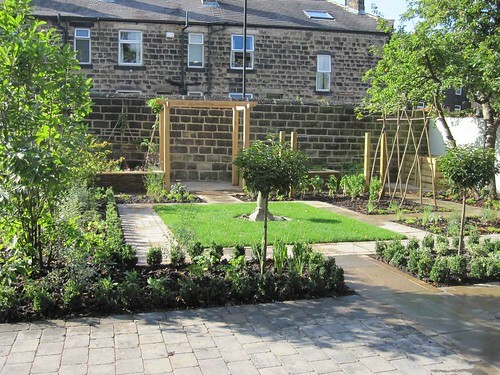 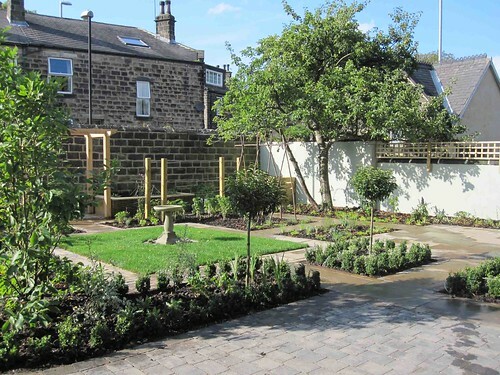 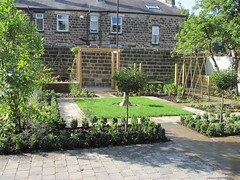 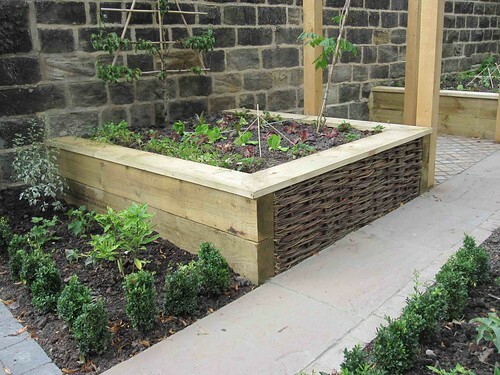 This front garden was designed to complement the grand house and also to provide some space for fruit and vegetable growing. 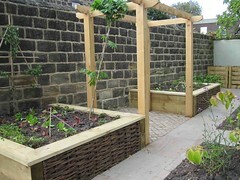 There are various places to sit including a small, cosy morning terrace under the pergola. This will have wisteria hanging through the crossbeams. 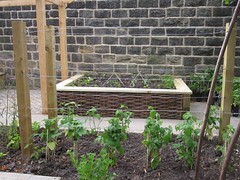 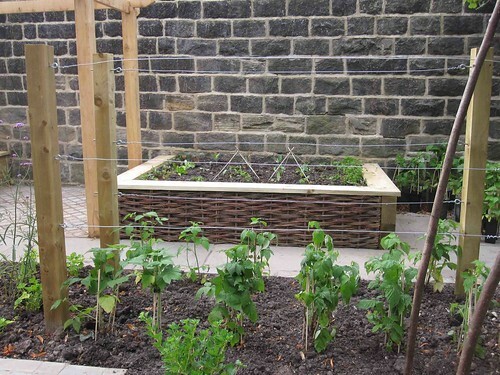 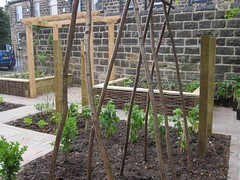 The raised beds have woven willow fronts which are decorative and tie in with the rustic hazel supports for the climbing beans and sweet peas.